Last week, thousands of Brazil's native peoples converged on the country's capital to demonstrate the power, unity, and resolve of the National Indigenous Movement as it faces an unprecedented and brutal assault on indigenous rights and territories. Four intense days of activities and protest marked this year's Acampamento Terra Livre ("Free Land Camp"), which was among the largest gatherings in the mobilization's fifteen-year history. "We've come here with more than 3,000 indigenous peoples to paint Brasilia with urucum and jenipapo, bringing the colors of our strength," said movement leader Sônia Guajajara, referring to the natural tattoos and body paint that decorated the faces and bodies of many of Terra Livre's participants. 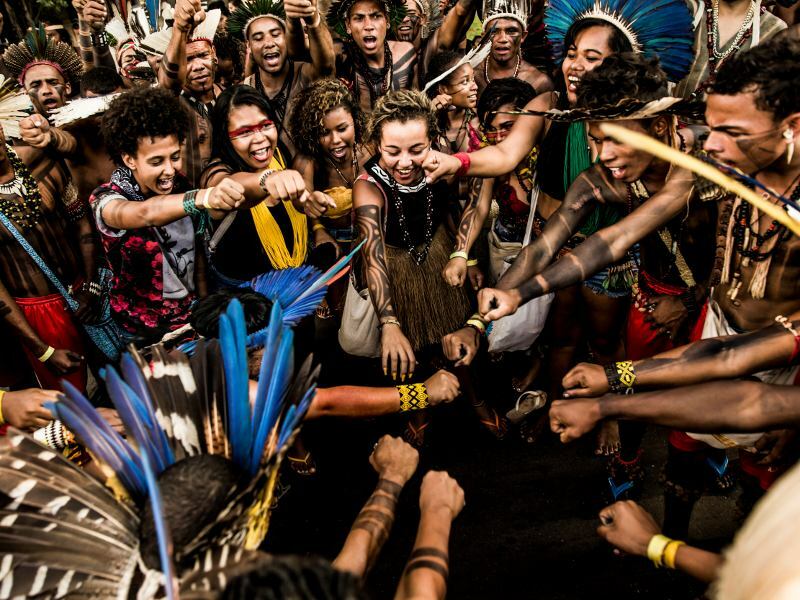 As the central mobilization in a growing movement, Terra Livre brings together representatives from Brazil's diverse native peoples, forges alliances with members of traditional communities, and partners with a variety of national and global collaborators. This year's convergence took on a particularly urgent tone as the indigenous movement must now wage several simultaneous, high-stakes battles to ensure the collective survival of the country's first inhabitants. "Brazil's indigenous peoples live in the most severe scenario of attacks upon their rights since the re-democratization of the country," affirms Terra Livre's final statement. The statement goes on to condemn the government's policy towards indigenous peoples, in particularly the dismantling and use for political ends of the very institutions meant to protect indigenous peoples. Just days before Terra Livre began, members of Brazil's powerful, agribusiness-driven political block – known as ruralistas – forced the head of the country's indigenous agency (FUNAI) to resign and appointed Wallace Moreira Bastos, a conservative pastor and businessman with no experience in indigenous affairs, to administer this key institution. 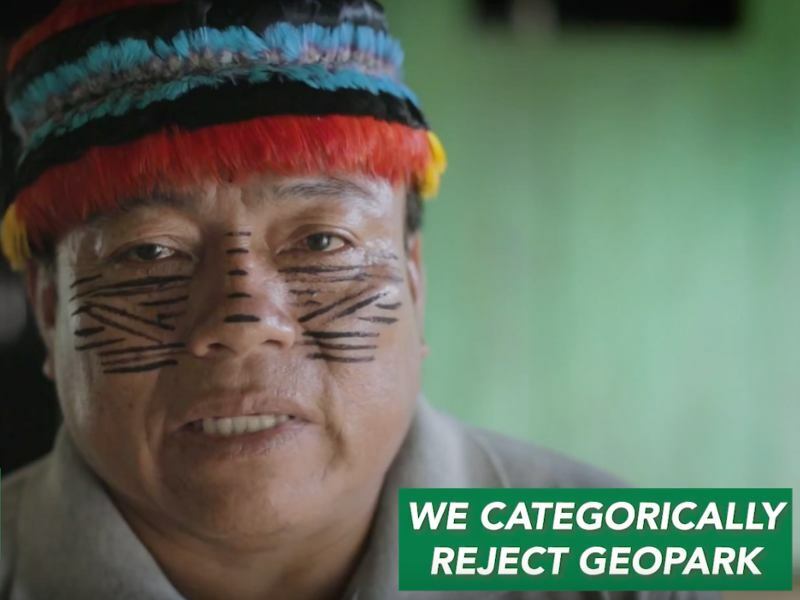 "We've never heard of this person, we don't know him, but the main problem is that he's been selected by politicians opposed to what FUNAI should have as its mission: to serve the interests of indigenous peoples as guaranteed by the constitution," said Dinamā Tuxá, from the Association of Brazil's Indigenous Peoples (APIB). "For us, it means the complete undoing of the indigenous agency." Marching upon the office of Attorney General Grace Mendonça, indigenous leaders demanded that her office cease its specious legal attacks against their right to titled territory. 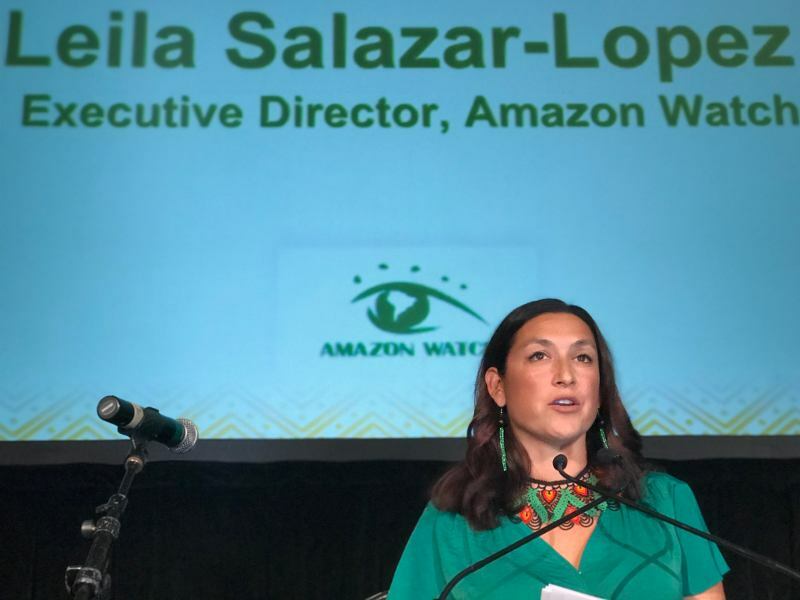 In a hearing they called on her to immediately revoke her office's "Opinion 001," an edict issued in January that directs FUNAI to only recognize the land claims of native peoples who have continuously occupied their territories since the 1988 Constitution was enshrined. Among other nefarious implications, the directive ignores common situations in which communities were brutally driven off their lands before that date, therefore losing the ability to claim titles for their ancestral territories. Known as the "time limit" clause, the Attorney General's move paralyzes 748 pending requests to title tribal lands while also stripping indigenous peoples of their constitutional rights to permanent and exclusive use of their territories by claiming these rights cannot overrule "national interests" such as military operations and infrastructure development. Pushing back against this incendiary agenda, Terra Livre assembled many voices that shared a common vision in defense of indigenous territorial rights and that offered concrete proposals for an alternative development paradigm not based on exploitative policies. In their "Map of Life," the Amazon's Munduruku people brought a beautiful testament of their longstanding resistance to the destruction of their ancestral lands on the Tapajós River. In a rally at the Palace of Justice, Munduruku people introduced their cultural and territorial mapping protect to the public with the goal of pressuring the government to carry out its constitutional duty to title and protect their rainforest home. 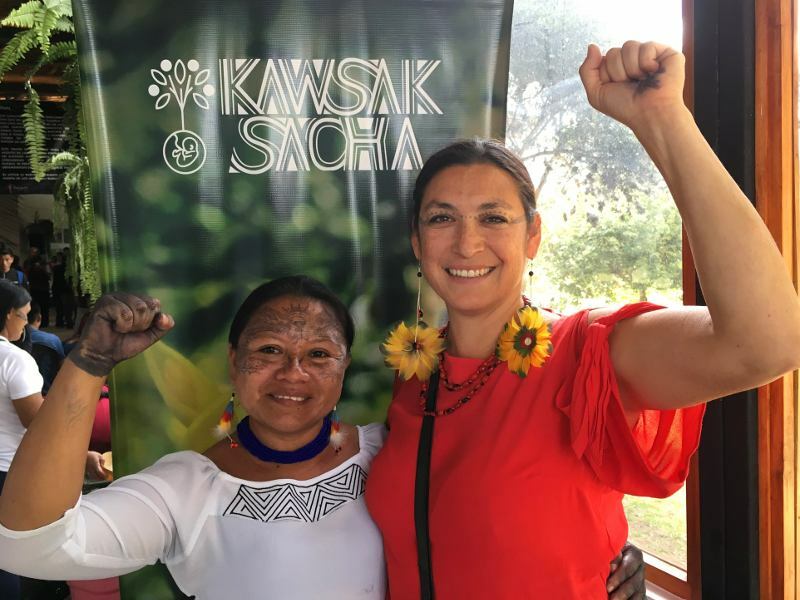 This year's Terra Livre also saw the prominent participation of indigenous women, who opened the week's activities with a packed assembly focusing on political engagement, the struggle for land, healthcare, and culturally appropriate education. "I see many women here in the plenary, accompanying indigenous policy [discussions]. 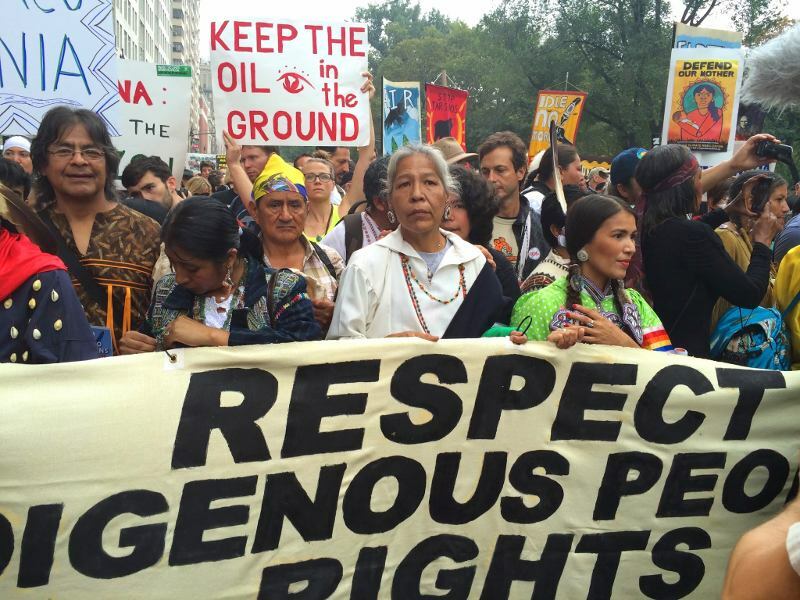 It wasn't like this before," said Suzana Xokleng, a veteran in the struggle for native rights. "We are the grandmothers and great-grandmothers and we are here. 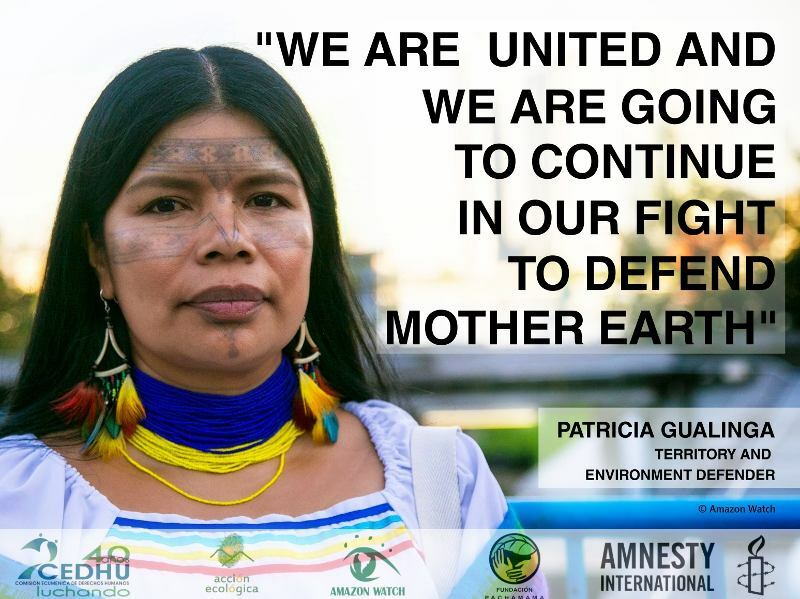 We will unite, we women, to care for our traditional territories!" In a final act of powerful symbolism, Terra Livre's last march traced a long streak of red paint down the Avenue of the Ministries to represent the blood spilled by indigenous land defenders killed for protecting their territories. Marchers unfurled a banner at the head of the march reading "End Indigenous Genocide" to the chant of "FUNAI belongs to indigenous people, not the ruralistas!" "This trail of 'blood' ... represents all the violence imposed by the state on this country's original inhabitants through the slow pace at which our land is being titled, among other attacks," said the leader Marcos Xukuru. "Many murders are taking place, along with the cruel criminalization of our leaders. But in spite of this, we, indigenous peoples, will always go on resisting and fighting for our rights, as our ancestors and our warriors have taught us to do."